Enjoy the sounds and spirit of the holidays with Shepherd wonderful musicians at the Holiday Gala. Experience how the season affected our town during a Civil War Christmas. Savor a holiday feast worth a Dickens tale. Relax your mind and give your body a reboot at the Wellness Center. Experience the excitement of Shepherd basketball at the Butcher Center. And be inspired and discuss wine pairings during tasting from local shops. For more information, contact Karen Rice, director of continuing education and Lifelong Learning, at 304-876-5135 or to krice@shepherd.edu. 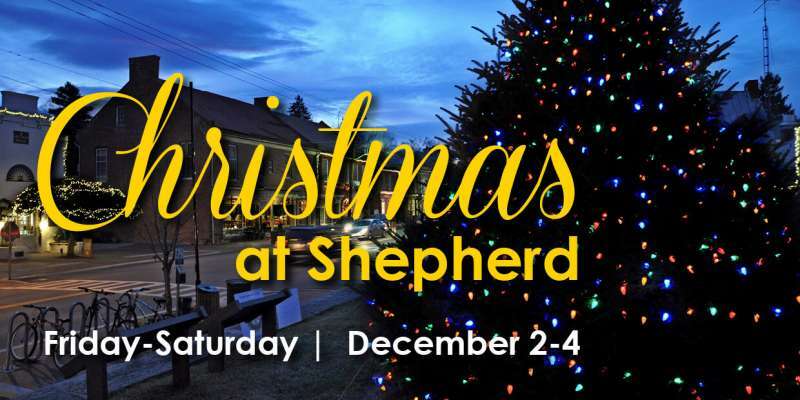 * Mention “Christmas at Shepherd” to get your special rate. Guests must register prior to Friday, November 18 to receive this offer. To reserve a room, contact the Bavarian Inn at 304-876-2551 or visit www.bavarianinnwv.com.